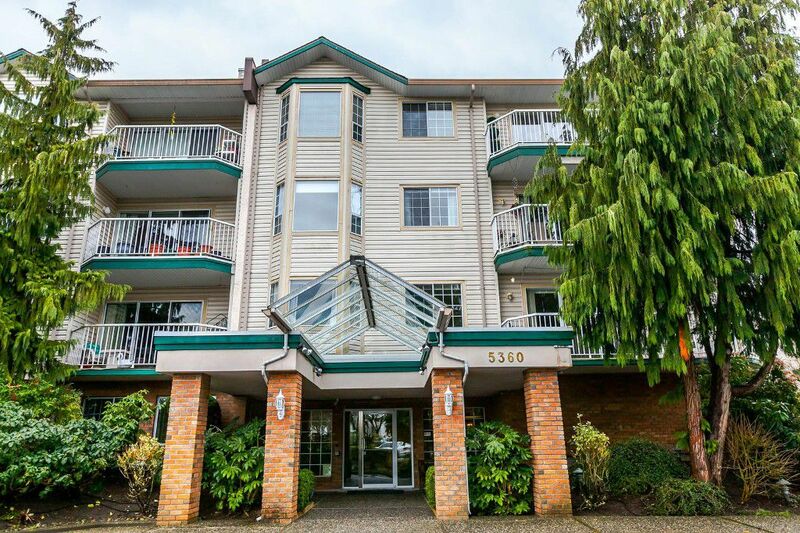 Two bedroom, two bath, neat and clean, updated suite in desirable Parkway Estates a 55+ building centrally located close to amenities of Langley City. Boasts tasteful decor including recent paint in living room, attractive kitchen with scads of white cabinets with updated handles and vinyl plank flooring, spacious dining room with laminate floor, entertainment sized living room with laminate floors, corner gas fireplace and door to balcony, Two bedrooms including master bedroom with two piece ensuite and walk-in closet, updated main bath with walk-in tub with tile surround. One parking stall. Storage locker across the hall from the unit for your convenience and security. Amenities room, exercise room, games room, guest suite, workshop and more. 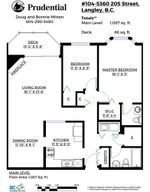 A terrific suite in a great adult oriented building.